Thank you for your interest in the 2018 Native Women in Film Festival taking place March 1 – 13, 2018. Registration for the festival will close on February 27, 2018. After this date, no applications will be considered. Photos must be submitted as JPG (.JPG) files. The file size of each image must be least at 10kb and no larger than 100kb. Once you have these materials ready please email all information to info@rednation.com. Approval or denial of accreditation The Festival reserves the right to approve or deny accreditation. The decision is final! Notification You will be notified by the Festival Press Media Relations when your application is complete and ready for review. You will be notified regarding the status of your application. If your application is approved, we will send you specific details regarding your credential and the press offerings at the Festival. All Native Women in Film & Television Film Festival press releases can be viewed here. 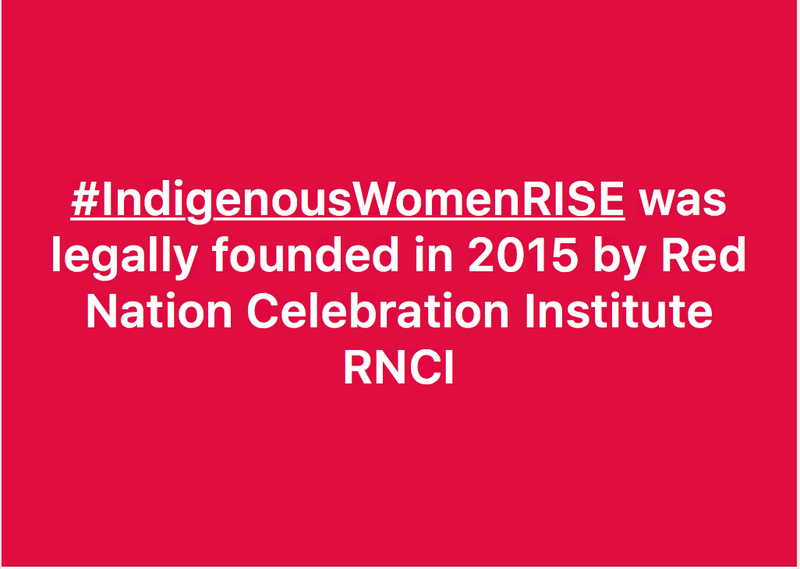 RNCI is #IndigenousWomenRISE not affiliated with @Byellowtail @Ms_EagleHeart Indigenous Women RISE © 2015 intellectually property of RNCI.